Air India Express (formerly Alliance Air) retired its last Bombardier CRJ700 in January 2017. The pictured VT-RJE passed through Southend on January 14, 2017 bound for Keflavik and beyond. 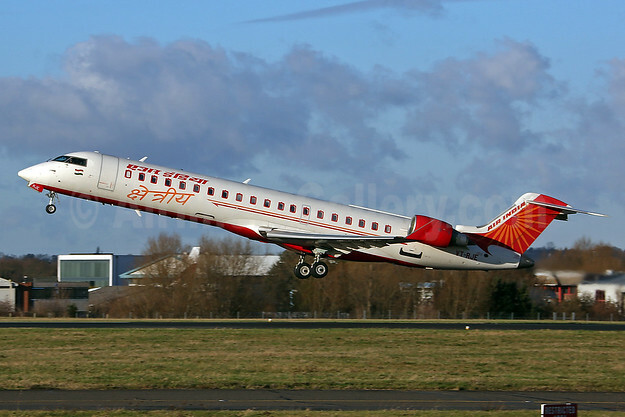 Copyright Photo: Air India Regional Bombardier CRJ700 (CL-600-2C10) VT-RJE (msn 10029) SEN (Keith Burton). Image: 936628. This entry was posted in Air India Express and tagged Air India Regional, Bombardier CRJ700 (CL-600-2C10), msn 10029, SEN, VT-RJE on January 16, 2017 by Bruce Drum. Air India Express (Kochi) will be one of 10 airlines that will open the new Hamad International Airport in Doha, Qatar on April 1 according to The Times of India. The opening will be a soft opening to gradually open the new airport. 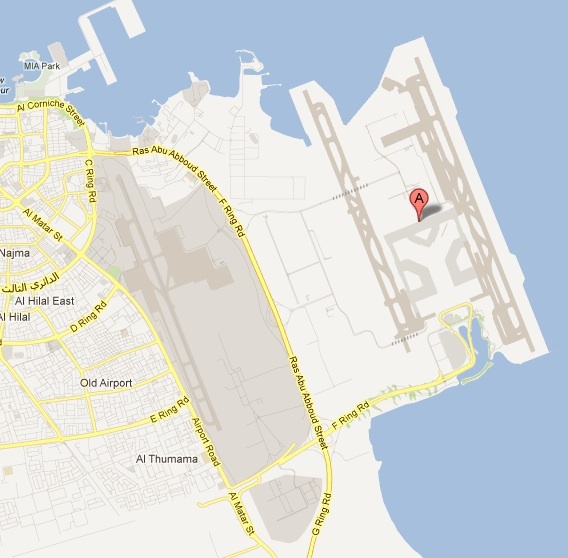 Qatar Airways (Doha) will not move to the adjacent new airport until the end of the year. Therefore for approximately nine months there will be two airports in Doha. 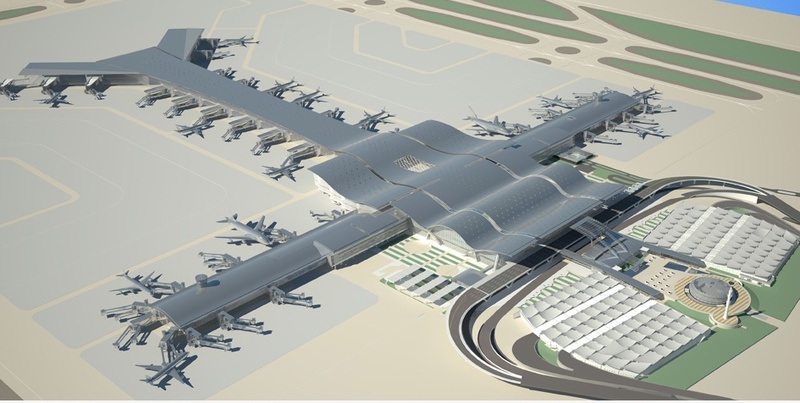 According to the report, the other airlines opening the new airport will include Air Arabia, Biman Bangladesh Airlines, Flydubai, Iran Air, Nepal Airlines, PIA-Pakistan International Airlines, RAK Airways, Syrian Air and Yemen Airways. Top Copyright Photo: Paul Denton. Boeing 737-8HG WL VT-AYA (msn 36337) in the Ellora elephant statue tail motif arrives at nearby Dubai. Map: Google Maps. The new airport is adjacent to the old airport and was built on reclaimed land. This entry was posted in Air India Express and tagged 36337, 737, 737800, 7378HG, Air India Express, aviation, Boeing, Boeing 737, Boeing 737800, Doha, Dubai, DXB, Ellora elephant statue, Hamad International Airport, Qatar, Qatar Airways, transportation, VTAYA on March 19, 2013 by Bruce Drum. Air India Express Boeing 737-8HG WL VT-AXW (msn 36334) (Charminair) FRA (Bernhard Ross), originally uploaded by Airliners Gallery. Copyright Photo: Bernhard Ross. Please click on photo for additional details. This entry was posted in Air India, Air India Express and tagged Air India, Air India Express on October 25, 2010 by Bruce Drum. Did the smaller width of the Mangalore runway contribute to the Air India Express accident? Copyright Photo: Rainer Bexten. Please click on photo for full view, information and other photos. Air India Express (Mumbai) flight IX 812 on May 22, 2010 operated with Boeing 737-8HG VT-AXV (msn 36333) from Dubai to Manglalore in southern India, overran the 8,033 feet (2,448 m) runway number 06/24 while landing. The airliner skidded down the hill at the end of the runway and was destroyed by fire. This WSJ article raises the question of whether the width of this runway contributed to the aircraft exiting the runway. ICAO Annex 14 requires runways to be 300 meters (100 feet) wide. This runway was only 200 meters wide. This entry was posted in Air India Express and tagged 36333, 737, 737-800, 737-8HG, Accident, Air India Express, Boeing, Boeing 737, Boeing 737-800, Crash, Crashed, Dubai, DXB, Rainer Bexten, VT-AXV on May 24, 2010 by Bruce Drum. Copyright Photo: Joe G. Walker. Boeing 737-8HG VT-AXV (msn 36333) departs from Seattle (Boeing Field-King County). This is the worst disaster involving a Boeing 737-800. The investigation concerning the crash of Air India Express’ flight IX 812 that happened yesterday in Mangalore continues. The cockpit voice recorder (CVR) has been located and recovered. The Flight Data Recorder (FDR) has not yet been located. Boeing 737-8HG VT-AXV (msn 36333) ran off the rain-soaked runway on landing and plowed into a telephone pole and burst into flames. 158 bodies have been recovered. Eight people survived the crash. This entry was posted in Air India Express and tagged 36333, 737, 737-800, 737-8HG, Accident, Air India Express, BFI, Boeing, Boeing 737, Boeing 737-800, Boeing Field, Crash, Crashed, Joe G. Walker, King County, Seattle, VT-AXV on May 23, 2010 by Bruce Drum. Air India Express Boeing 737-8HG WL VT-AXV (msn 36333) BKK (Wim Callaert) (crashed May 22, 2010), originally uploaded by Airliners Gallery. Air India Express’ (subsidiary of Air India) (Mumbai) Boeing 737-8HG VT-AXV (msn 36333) crashed today (May 22) while trying to land in the rain at Mangalore in southern India. The airliner, operating flight IX 812 from Dubai, overshot the runway, crashed and burst into flames at dawn, killing nearly 160 people, officials said. At least eight survived. Copyright Photo: Wim Callaert. Boeing 737-8HG VT-AXV (msn 36333) is pictured departing from Bangkok prior to the accident. This entry was posted in Air India Express and tagged 36333, 737, 737-800, 737-8HG, Accident, Air India Express, Bangkok, BKK, Boeing, Boeing 737, Boeing 737-800, Crash, Crashed, VT-AXV, Wim Callaert on May 22, 2010 by Bruce Drum. Please click on AG icon for a direct link to the Air India Express photo gallery. Air India (Mumbai) has shelved plans to launch a separate no-frills brand. 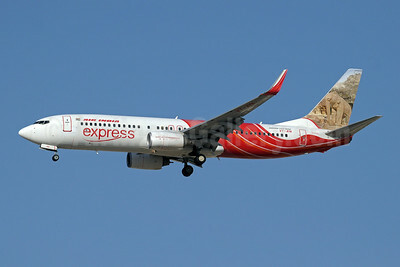 Instead it will concentrate on expanding operations of its Air India Express subsidiary. This entry was posted in Air India Express and tagged Air India, Air India Express on January 3, 2010 by Bruce Drum.